The murder of four foreign cyclists in Tajikistan this week has already had a palpable dampening effect on the country’s tourism industry – a cruel blow in a year the government had dedicated to drawing more visitors. Hostels, tourist agencies and one major airline contacted by Eurasianet have all reported cancellations and last-minute travel-plan changes after the Islamic State group claimed the hit-and-run killings. Only days ago, the government was claiming great strides in promoting the tourist industry. In the first six months of the year, around 900,000 visitors arrived in the country, a massive spike from the 430,000 recorded for the whole of 2017. But the tone has changed now, right at the height of tourism season. “It is true that we are very worried about what has happened,” said Nu’mon Abdugaffarzoda, head of the Committee for the Development of Tourism, during a July 30 press conference, one day after the deadly attack. Abdugaffarzoda insisted that the violence should not pose an obstacle to tourism in Tajikistan. Major Western government have taken a more circumspect tack in advice to their citizens. “If you're travelling in the area you should exercise caution and vigilance,” the British Foreign Office says in its advisory. The U.S. Embassy in Dushanbe advises Americans to “keep a low profile” and to “review … personal security plans.” France’s Foreign Ministry goes even further, advising people to “postpone plans for hiking or cycling tours” pending investigations into the attack – which the Tajik government is trying to pin on the opposition. Most travel company representatives spoke on condition of anonymity, citing the sensitivity around the issue. A representative for Turkish Airlines said that many tourists began canceling flights as early as July 30, while those already in the country were leaving earlier. The Pamir Guides tour agency, which offers 10-day trips around the country and through the Pamir Mountains, said that they have lost $8,000 since the murders. “We have simply lost our business. Nine Swiss citizens who had booked tours with us have cancelled. And there are some other tours we had booked, with Italian tourists, that are now in doubt,” an agency representative said. It was a similar story at Sarez Travel, which does tours to remote locations in the Pamir Mountains, like the Sarez Lake and the Wakhan corridor, and to the Fann Mountains. Sulton Guliyev, who handles public relations for the company, said one group of seven had nixed their plans to come to Tajikistan and another group of five is having second thoughts too. “We had a group from France and Italy. They planned to visit the Pamirs, the Fann Mountains and Panjakent. After this situation, they said that they might consider coming next year,” Guliyev said. Another group from Germany has peppered the tour agency with questions about safety ahead of a trip to Lake Sarez. “The Germans will probably come in the end, but we are not expecting any more bookings,” Guliyev said. Dushanbe’s hostels are telling a similar story. Hello Dushanbe hostel said, on condition of anonymity, that two groups of between 10 and 20 people have canceled in the last week. “They were tourists from the United States and Europe. 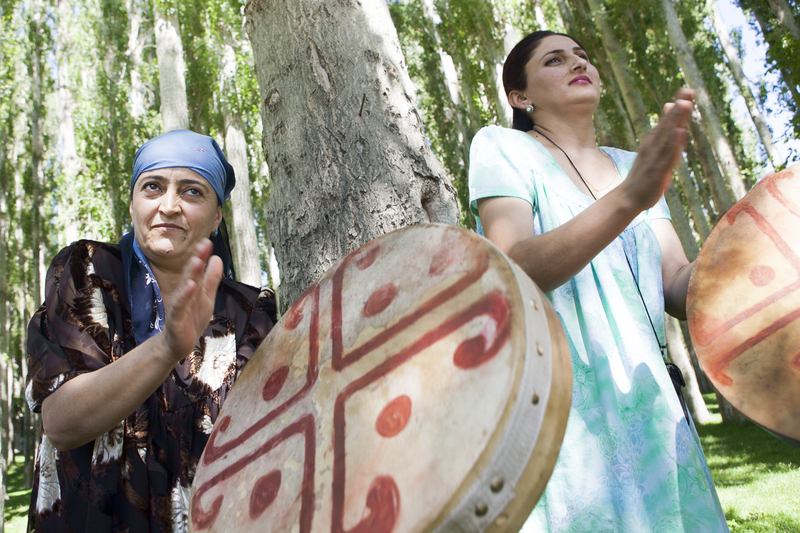 They wanted to do a tour of Tajikistan and spend a few days in Dushanbe. But bad news travels fast and sows fear,” the hostel worker said. Miskola Abdullayeva, director of the Yeti Hostel, said her establishment has not yet felt a strong impact, but that the events bode badly for Tajikistan’s attractiveness as a destination. Guests keep asking just how the safe the country really is, she said. “We tell them that this is a one-off event and that they should continue to come. We cannot guarantee their safety, but we also cannot exactly say that Tajikistan is a dangerous place either,” she said. Travelers already on the road have cut short their trips. Tibor Barna, who is cycling from New Zealand to his native Hungary, said he and his companion were in the Pamirs when they got news of the attack. “When we found out what happened, we decided to take a car from Khorog to Dushanbe. We decided not to risk it,” said Barna. Barna said that it was a choice taken more out of emotion than genuine concern that something similar would reoccur. “We knew it wouldn’t happen, but in the situation we thought it would be better,” he said. Indeed, some tour cyclists are going ahead with their plans undeterred. On the morning of August 3, Barna and his traveling companion headed northward from Dushanbe toward Panjakent. Other guests staying at the same hostel were heading east, although not past the location where the July 29 attack happened. The timing of the attack and the subsequent revelation that the suspected perpetrators had committed the murders in a gesture of fealty to the Islamic State has thrown cold water on President Emomali Rahmon’s declaration of 2018 as the Year of Tourism and National Crafts. The government invested heavily in building new hotels and glossy advertising splashes. And most importantly, it significantly eased the process for getting a visa, which may account in large part for the surge in visitor numbers. According to the World Travel and Tourism Council, an international industry forum, the total contribution of travel and tourism to Tajikistan’s economy stood at 8.3 percent in 2017, equivalent to around $562 million. The sector provides 71,000 jobs, almost 3 percent of the overall labor market, the council said. In an attempt at finding solace, social media users in Tajikistan have in the past few days been widely sharing thoughts and photos they feel more accurately typifies the experience of tourists. One image shows an elderly villager somewhere in the Pamirs offering mulberries to a passing cyclist.